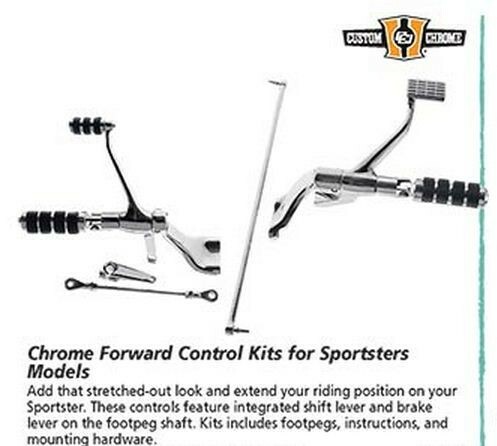 Add that stretched-out look and extend your riding position on your Sportster. These controls feature integrated shift lever and brake lever on the footpeg shaft. Kits include footpegs, instructions, and mounting hardware.